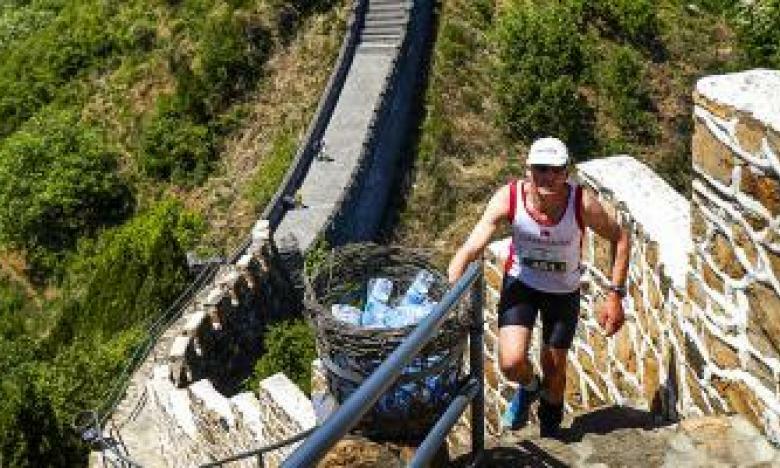 Despite the arduous course on the iconic Great Wall of China, runners will be rewarded by its breathtaking surroundings and views. As the route leads participants through the lower valley and into the villages, onlookers will be cheering and the festive atmosphere is a real energy boost! Find out more about the race below. In May, spring is in its prime with sunny, blue skies and lush, green vegetation lining the Great Wall. In recent years, the weather during The Great Wall Marathon has been somewhat unpredictable, varying from a low of 16°C/61°F to a high of 35°C/95°F. On average, the temperature is around 25°C/77°F. Rain is unusual during the race, but can occur. Be prepared for high humidity. Light-coloured clothing, short-sleeve technical shirts are a good choice as they do not absorb sweat (like cotton, which remains wet), sun block is a must (use SPF30 or above), a running hat with visor is also advisable as it can help keep the sun out of your eyes. For information on the route, start and finish lines, drink stations and other course-related information, look at the course map. There are few ways to register for The Great Wall Marathon, depending on your place of residency. If you are not a resident of China, you can purchase one of two holiday packages, which include race entry: the 6-day itinerary or the 7-day itinerary. The same packages are available for spectators and provide entry to Race Day and Inspection Day, as well as other activities with the runners. If you are a resident in China, you can purchase "race entry only" without the packages. You can also sign up through one of our partner travel agents. Registration closes for the 2018 Great Wall Marathon on 19 April 2018. After this date, no new entries will be accepted. We advise you, however, to book early to avoid disappointment. The 2017 event sold out well in advance of the regular registration period. If you sign up after 19 March 2018, a late registration fee of 100 USD will be applied to each person on your booking. In addition, the full amount (ie. not just the deposit) must be paid immediately. The Great Wall Marathon takes place on the third Saturday in May every year.